Web designing is a huge area which is filled with a lot of varieties. 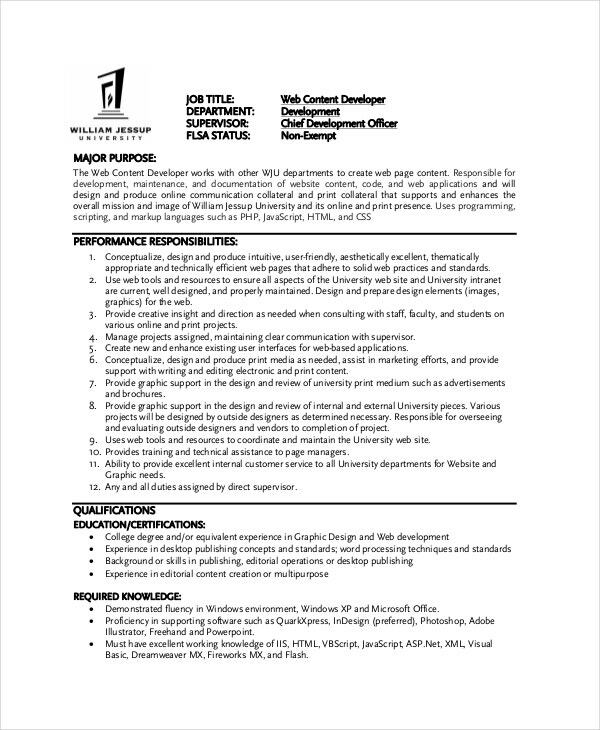 If you want to recruit a candidate as a web application developer, front-end web developer, senior and junior web developer or web content developer, then it is absolutely necessary that you choose a graphic designer Job Description Template for this requirement. Doing this will allow you to portray the job in most efficient and professional manner. It will be in favor of your recruitment task. 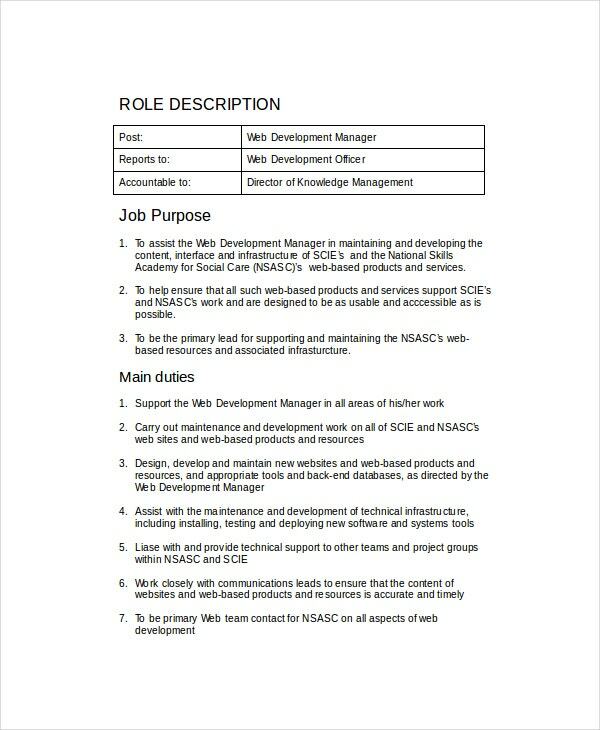 If you require a skilled person who develops web applications, then you would need the web developer job description template to display the expertise and qualities that the candidate needs to have. 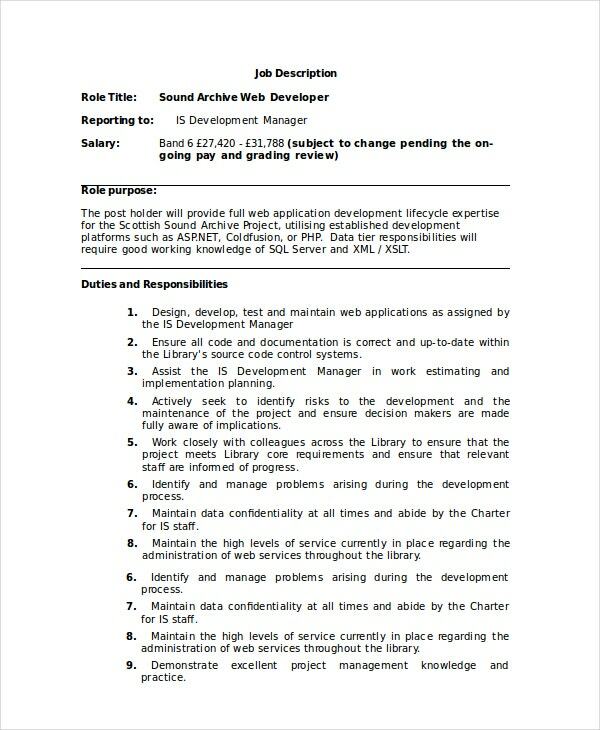 You may also see Server Job Description Templates. 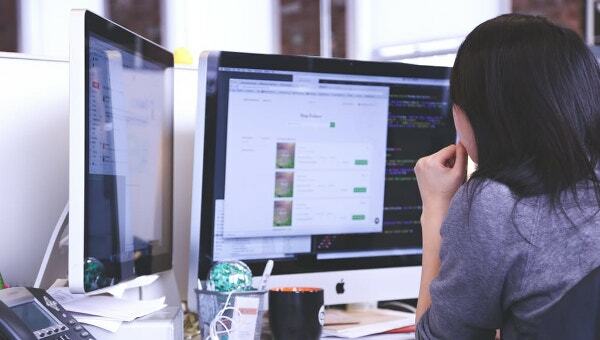 When you are looking for the perfect candidate for your company as front-end web developer, you need to be very careful about choosing the most appropriate and suitable graphic designer job description. Use the above template for that purpose. Choosing the right description is the most important task the recruiter needs to do. 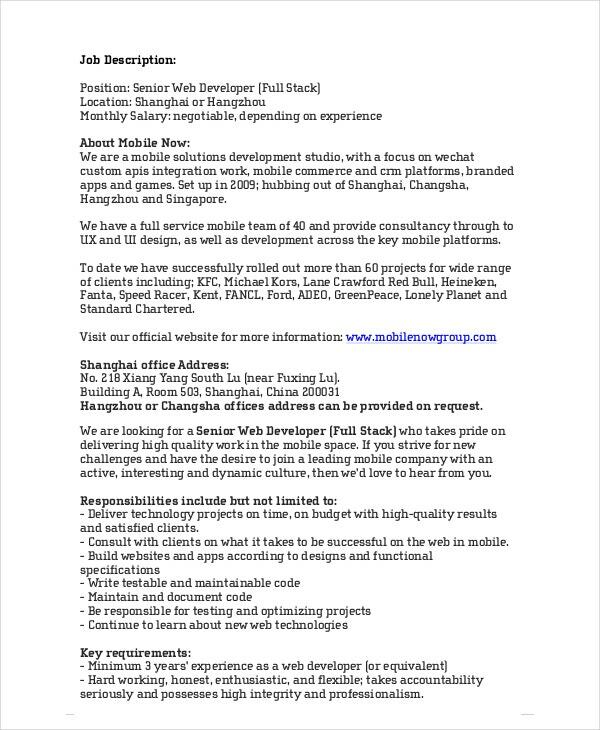 For example, if you are looking for senior web developers, use the above template to describe the job. 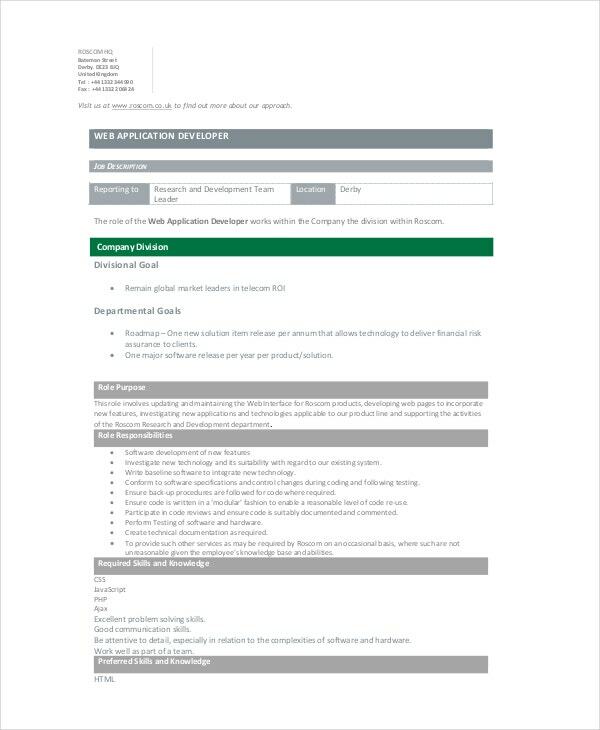 You may also check Software Engineer Job Description Templates. When you need to hire a junior web developer for a low-level task, you need to search the web for candidates with suitable web development experience. You can also use the above-mentioned template for this purpose. Web content development job is a task that has its own responsibilities. 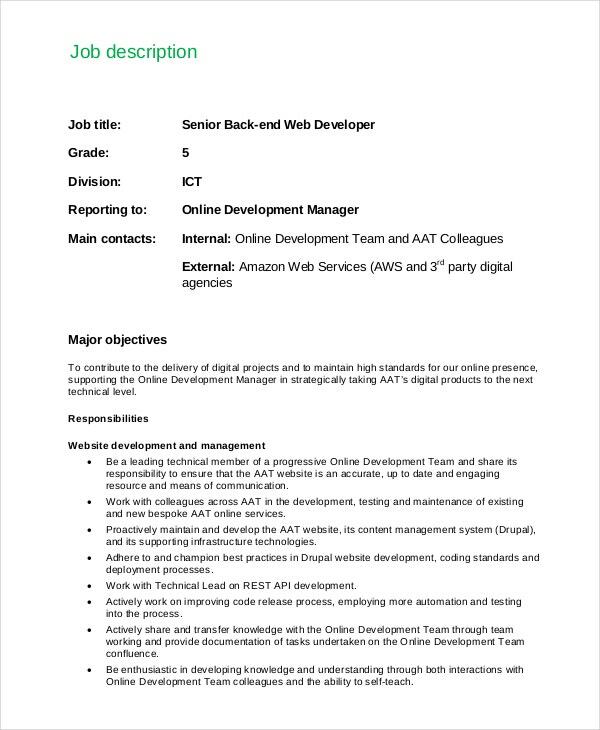 If you want to make sure that you don’t compromise with the responsibilities of the task in the recruitment process, you need to use the above-mentioned web content developer job description example. 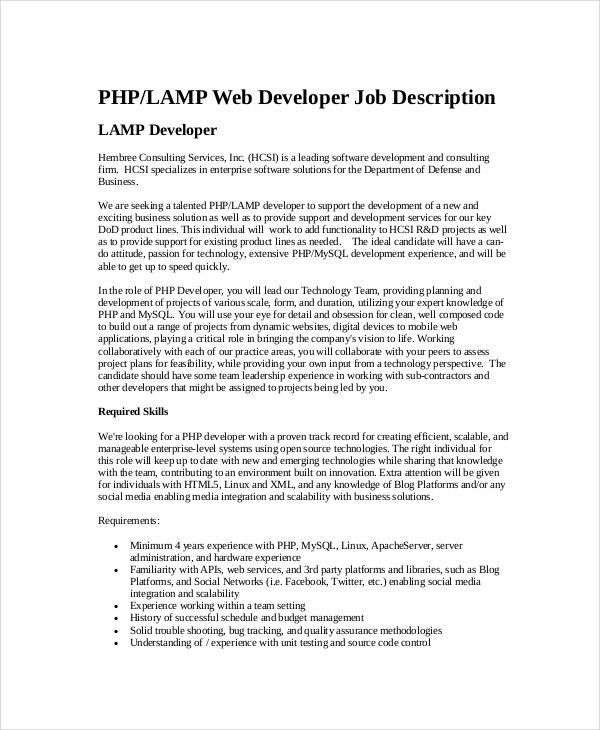 When do you need Web Developer Job Description Templates? If any company looks for the best candidates and if the company has to go to the open market to look for candidates, then online posting with the best job description writing is the only suitable thing that can be done. 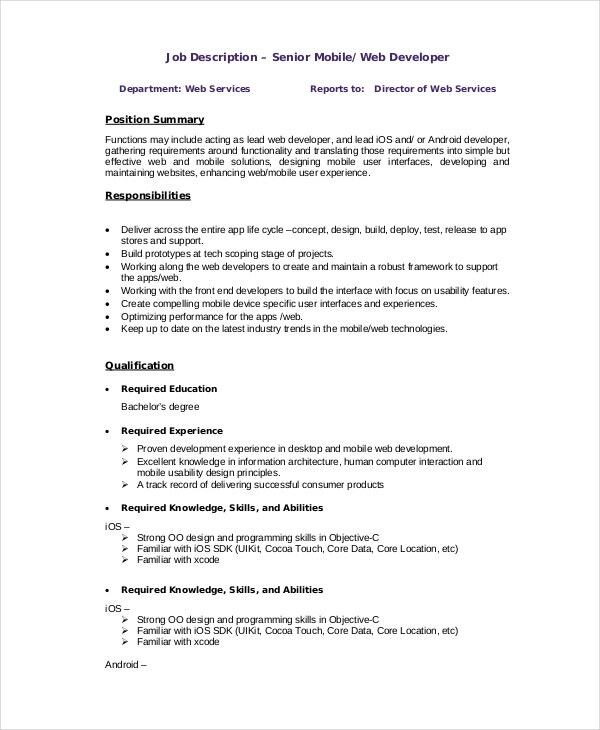 If you are looking for a software engineer, then the software engineer Job Description needs to include all the necessary aspects that will highlight the company’s expectations from a software engineer. 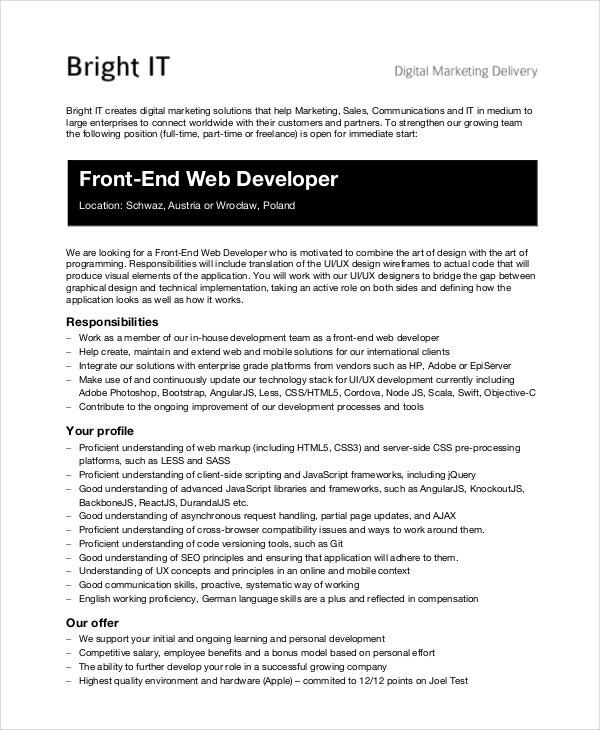 Similarly, when any recruiter starts searching for a web developer, then it is absolutely necessary that he or she writes the perfect job description of the web developer that will allow the candidates to understand the position and company’s expectations properly. Creating such descriptions can be an effort requiring task. 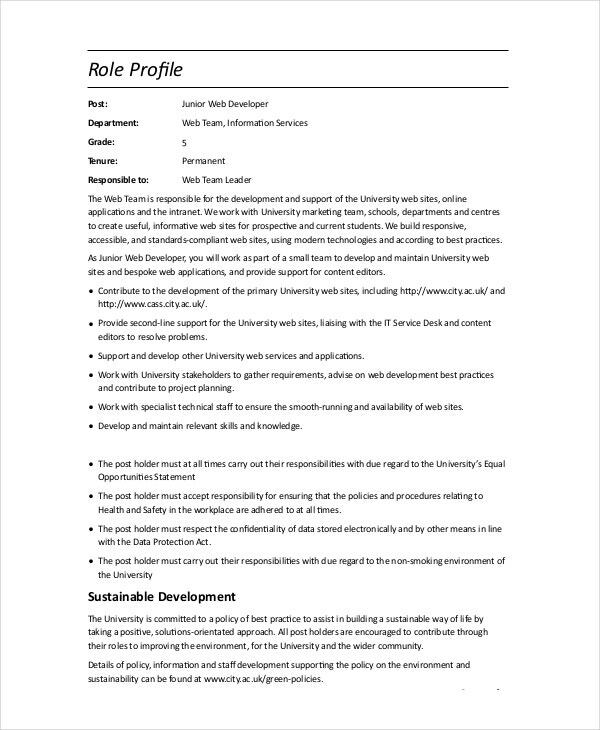 However, it is not necessary for you to waste your time in actually developing the job description because you can simply download a free of cost template and use it for this purpose. No matter whether you are writing a graphic designer job description or a Web Developer Job Description, you cannot stay away from the investment of time in it. If you want to make sure you get best results of the job posting, then you will necessarily need to invest adequate time in it. 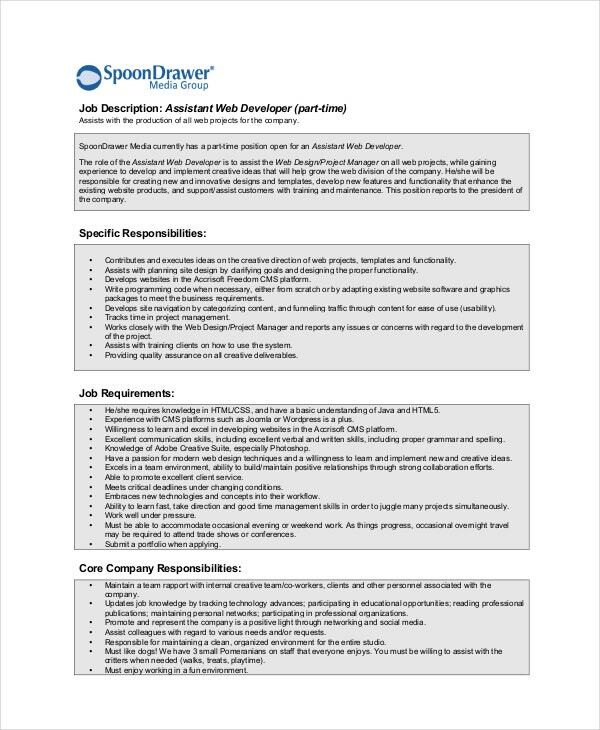 However, a more advanced and convenient option for this purpose is simply downloading a free of cost job description template and using it restriction free as per your requirement. When it comes to free templates, some people think that they may face some risk factors or limitation in it. Well, rest assured, you will be free to use these templates anyway you want as per your wish and you will be able to get the best results with less effort and time investment.